Raise your hands if you have ever broken a glass ornament? Now raise your hand if your kids have ever broken one of your glass ornaments? It's bound to happen. It happens to me EVERY year, something happens, always an accident of course, but something always breaks. This year the culprit was our dogs tail, and I noticed the broken silver glass ornament looked pretty. 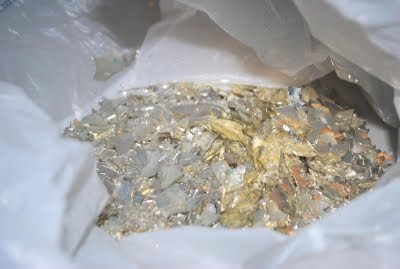 As weird as it sounds, the silver shattered glass was pretty. Since I always like to reuse objects in different ways, I started thinking about how to incorporate it in my other Christmas decorations. 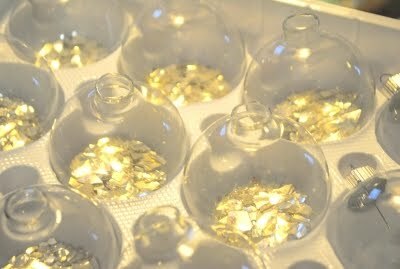 I already had 2 boxes of clear glass, DIY, ornaments from last year. So I wanted to see if I could use the broken glass to display in the clear ornaments. 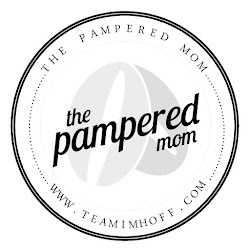 I tried it once, and after I liked what I saw, I went to get more supplies! First up you'll need clear glass ornaments. 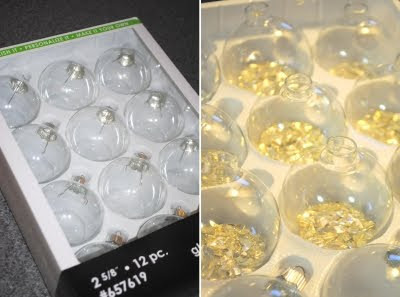 You'll also need GLASS ornaments to "break" or you can use already broken ornaments. I got really lucky. 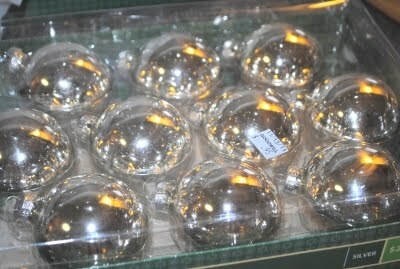 I found silver glass ornaments at Goodwill for 95 cents! I also got another box of broken ornaments at the same place for 20 cents since they were damaged. Little did they know I would be breaking them anyways!! I used a couple of walmart sacks, but you'll need a safe place or bag to fill with ornaments so you can break them without hurting yourself. I used a hammer. Afterwards, you'll fill the clear ornaments with the shattered glass and you're done! I added a ribbon to the ornament before I placed them on the tree. What do you think? Now you have a way to reuse your broken ornaments! Here is the ornament on our tree!